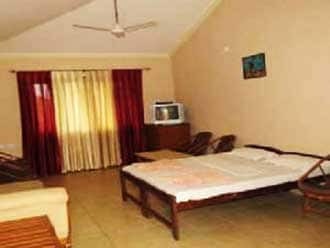 Dona River Guest House is a best place to enjoy holiday in Goa. This guest house is located just 4 km away form Miramar beach which is situated on the way towards Dona Paula, It is a golden beach fringed with palm trees. The soft sands of the beach make it the best site for evening walks. This guest house have total 5 rooms for accommodation of guest. It offers facilities which includes front desk available for limited hours, room service and laundry facility. Guest can park their vehicle in the parking space of the premises.